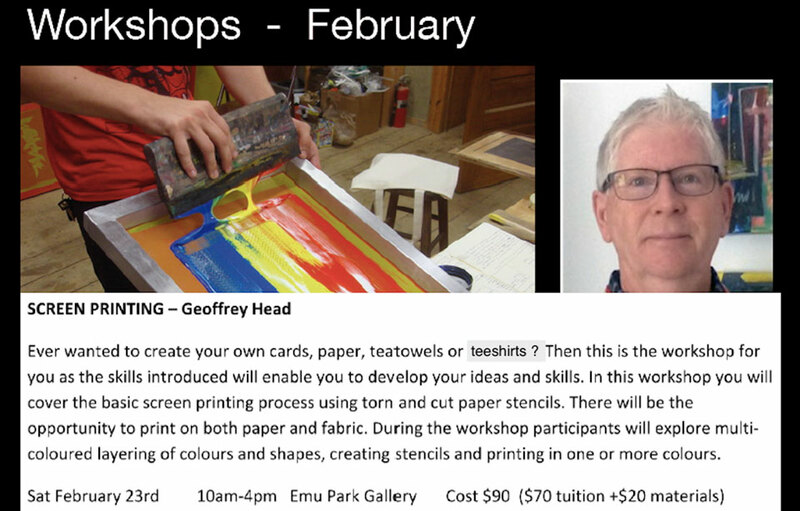 EMU PARK ART GALLERY WORKSHOP – Introduction to Screen Printing with Geoffrey Head. 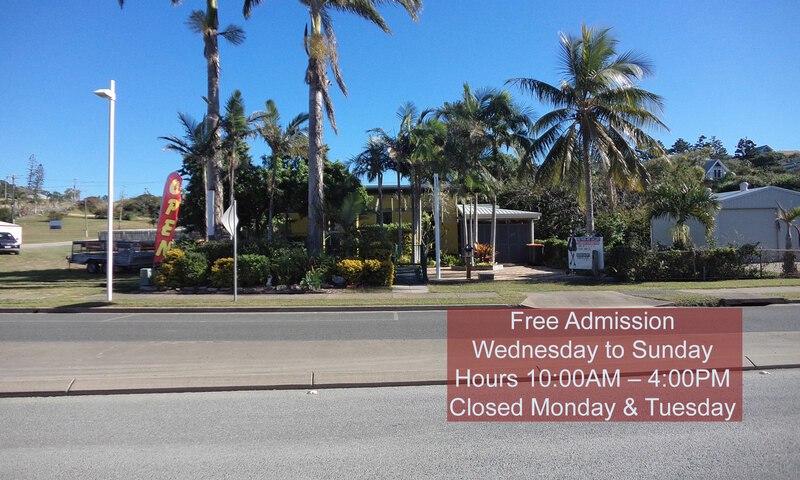 Geoff is a well recognised artist from Gladstone, whose art work appears in the Gladstone CBD and many other venues. While living and working in central Queensland, Geoff has been employed in secondary education for thirty-five years as an art educator and manager of the visual arts and the arts faculty. During this time, he has developed his own art practice in painting and printmaking, taken part in various group and solo exhibitions, and received several visual art awards at a regional level. More recently Geoff has held a position as a casual lecturer in visual art at CQTAFE and a tutor role at Central Qld University . If you are interested in attending a future workshop you can contact Barb on phone 0407640711 and register your interest in future workshops. 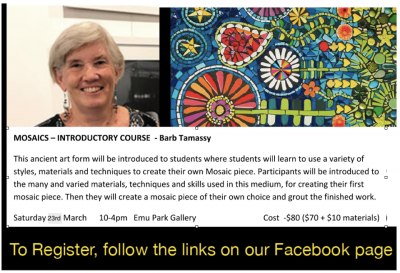 EMU PARK ART GALLERY WORKSHOP – Introduction to Mosaics – Barb Tamassy. Participants will be introduced to the Art of Mosaics, the history of mosaics, materials and tools used and a variety of techniques and tesserae. Students will complete a mosaic work of their own choice using a range of mediums. 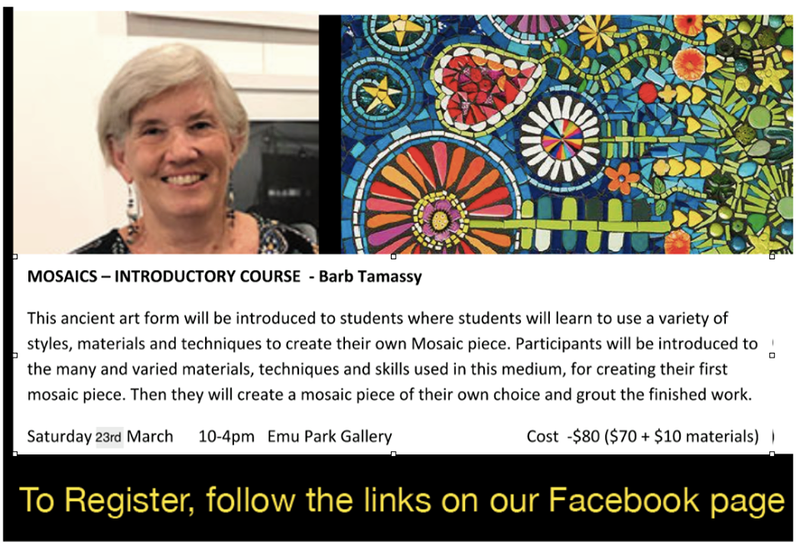 If you are interested in attending a future mosaic workshop you can contact Barb on phone 0407640711 and register your interest in future workshops. The Gallery now has many workshops now being finalised for 2019. 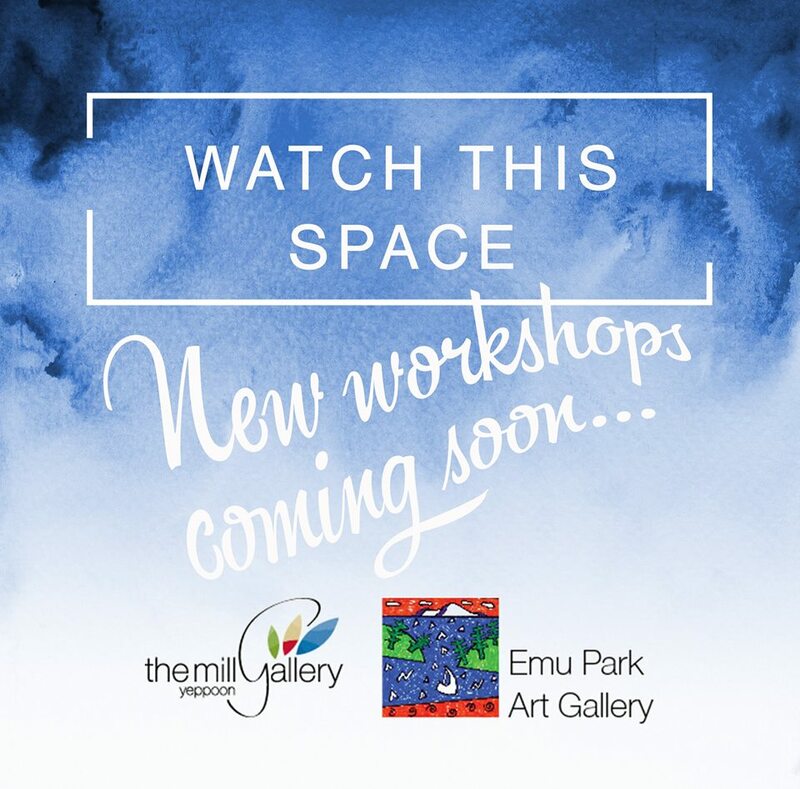 We will be posting up the details as soon as they are confirmed so please keep returning to check them out from our “Workshops” button in the menu above. You can even book your seat for these workshops online!